This salad is the perfect dish to serve for a weekend brunch. It’s super super easy to make, healthy, and looks all fancy and gourmet. Boil orzo in a large pot of salted water and cook for 10 minutes or until al dente. Drain and rinse with cold water. Transfer to a large bowl and stir in the spinach, onion, salt, pepper, olive oil, and balsamic vinegar. 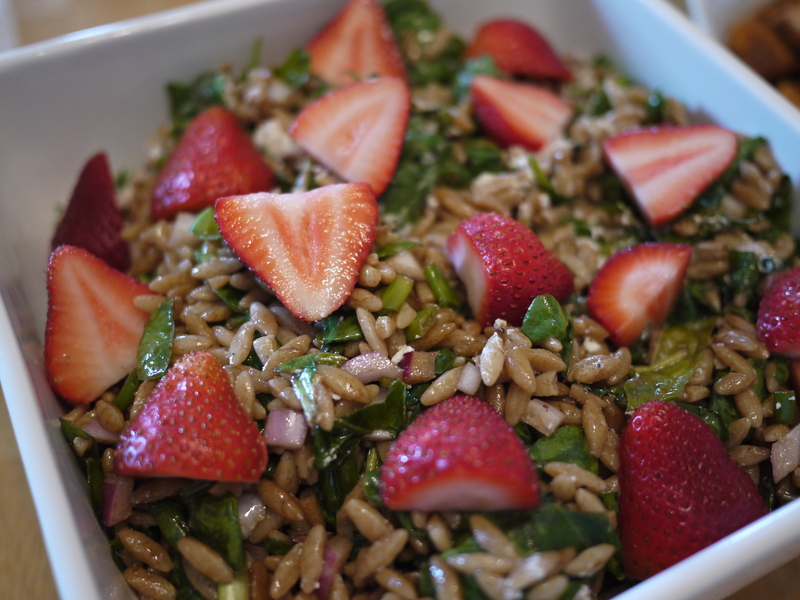 Garnish with feta cheese and strawberries. Serve at room temperature or put in fridge and serve cold.